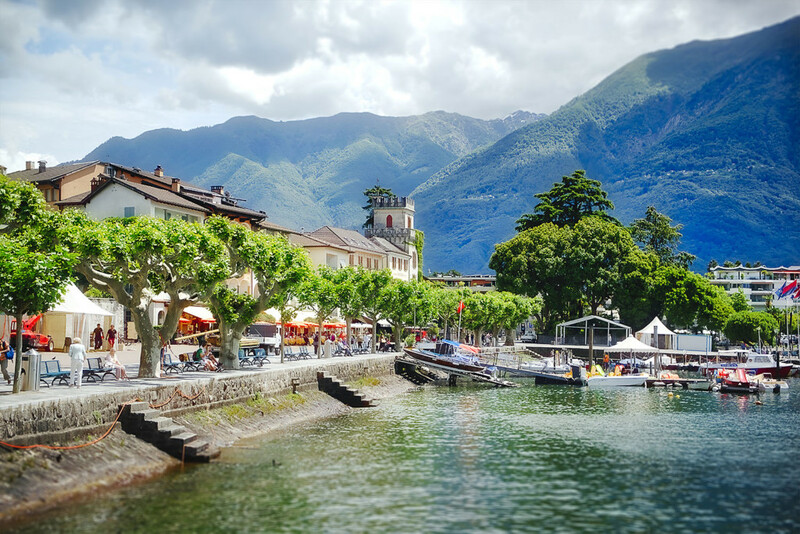 Ascona lies at the Lake Maggiore in Ticino, the southmost canton of Switzerland. The vegetation is a mixture of alpine woods and bushes and Mediterranean plants. The southern part of the lake already belongs to Italy. The water is very clean, and in the middle of the lake, there is an island with a neat botanical garden.